8. Persistence. I overdid it Friday—don’t get me started on how little it takes to overdo it—and woke up Saturday in a full body fibro flare. My interstitial cystitis (from my bladder injury during my hysterectomy that eventually lead me to fibro- and mildish IC-land) also reared up. Today, Sunday, is a new day. I feel better than yesterday. I persisted through yesterday’s pain and discomfort with the practiced though not always successful choice not to go to my darkest places. Knowing how quickly I turn to plants, pets or kids when I feel poorly, nothing can stop me from finding joy in nature and love. I’m certainly not happy 24 hours a day, but my innate persistence gives me hope that I will feel better one day. 6. Love. I’m home today with Rosebud (6) who is sick for the second time this month. I know she feels crappy, but oh my word I’m fibro and life cranky and tired. Tired of sick kids (twice in a month again! ), and tired of poor sleep due to kids sick and not. Tired of the morning school grind. Excited for holiday break family adventures and also tired just thinking about them. From the time-tested Love Actually: “Whenever I get gloomy with the state of the world, I think about the arrivals gate at Heathrow Airport. General opinion’s starting to make out that we live in a world of hatred and greed, but I don’t see that. It seems to me that love is everywhere. Often it’s not particularly dignified or newsworthy, but it’s always there – fathers and sons, mothers and daughters, husbands and wives, boyfriends, girlfriends, old friends. When the planes hit the Twin Towers, as far as I know none of the phone calls from the people on board were messages of hate or revenge – they were all messages of love. If you look for it, I’ve got a sneaky feeling you’ll find that love actually is all around.” I lived in NYC then though was traveling for work on 9/11. Oh the loving, worried words I received via phone calls, voicemails and emails. Tennessee Williams: “The world is violent and mercurial — it will have its way with you. We are saved only by love — love for each other and the love that we pour into the art we feel compelled to share: being a parent; being a writer; being a painter; being a friend. We live in a perpetually burning building, and what we must save from it, all the time, is love.” Indeed, my treasured Mr. Williams. Many days I tell my daughters, “I love you every second of every day.” My love for them, and the love they were made with, saves me every second of every day. Love fuels my ability to handle one more health decision, medication, diagnosis, infusion or crap night of sleep. Feeling it, giving it, having it, losing it, brimming over the top with it. Love is everything. #5 Readers’ & Friends’ Happiness List. -@Functionalish: Reading; being creative for enjoyment and the natural dopamine boost; and nature. #4 Empathy makes the world go round. I’m experiencing extreme “painsomnia,” a term I read about just an hour ago on The Mighty that precisely describes me this week. Early in December we had a Hanukkah party (making latkes is a lot of work that I absolutely love doing and is worth it despite the fatigue that follows); then both daughters were sick for a full school week; then I excitedly traveled to D.C. as a patient advocate for an American College of Obstretricians and Gynocologists‘ workgroup. Part of what got me through all that extra was knowing my pain-relieiving ketamine infusion was coming up, which usually means I sleep for the better part of of two to three days. This time we tried less of the anti-hallucinatory medicine that’s administered to help you have a “good trip.” Though I didn’t hallucinate, the result has been horrible. There has been very little napping, Short nightly sleeps, up in the night, or both. Tired, addled brain from the infusion plus extreme fatigue hangover. I can barely move today. I don’t want to. It’s not depression, of that I’m certain: when you’ve seen all sides of a coin you recognize which side it has landed on. Yippee! This week’s fibro symptom coin toss has landed on….painsomnia. Painsomnia, come on down! Where does empathy come in? : I posted the article link to The Mighty and how I’m feeling on 40 & Over’s Facebook page and immediately received empathy from a fibro sister. It made me feel heard, and better, as getting or giving empathy unfailingly does with adults and kids alike. Though it doesn’t make me want to get up, it does make me happier. #3 Proud Green Thumb. Yesterday Junebug, my Dad, and I went to my favorite New Orleans garden center, Urban Roots, to cheer me up as I continue to shake off the ketamine infusion hangover. Our animal friendly family delights at the menagerie who live and roam at Urban Roots, and the staff guides and teaches me each time I visit. We loaded the car with a beautiful planter, bag of rich soil, and a Meyer lemon tree. Rosebud and I have wanted one for ages (which for a six-year-old can be a day but actually it’s been on her mind all year because, “I love that we’re a gardening family. I want a lemon tree so that we can stop buying lemons at the grocery store.” I was surprised and pleased to learn yesterday that THIS! is prime citrus tree planting season, and wow does citrus grow abundantly in Nola. Good soil sans lead, rusted nails, old glass shards and more is less fruitful in our 300-year-old city, hence the planter. At Urban Roots Junebug fed the koi, roasted a marshmallow and ate a s’more, then we went home to plant the tree as a family. Soon after, Mother Nature rewarded us—and cheered me—with a phenomenal sunset. 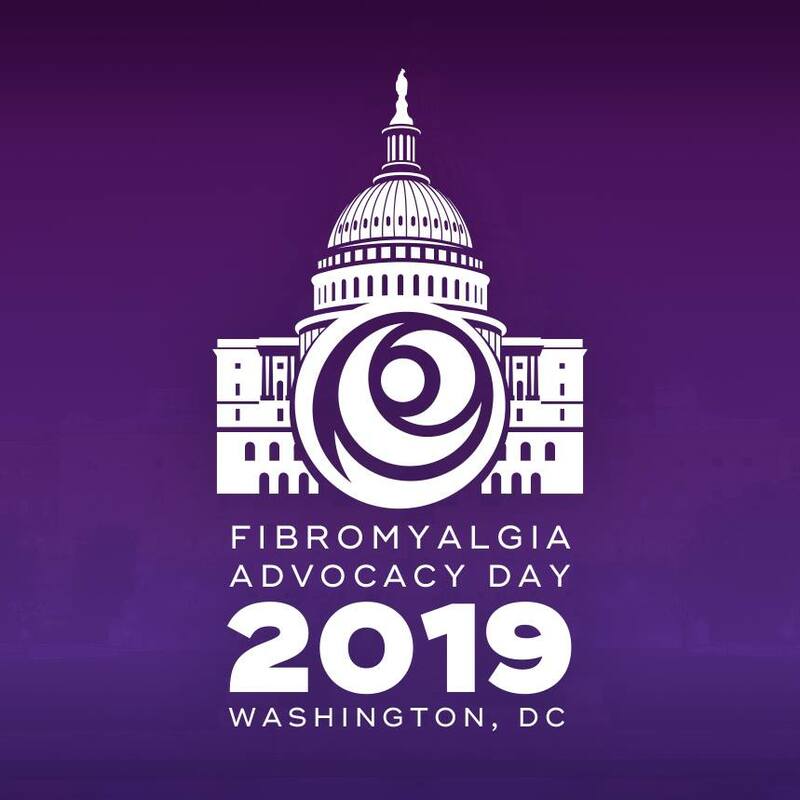 Fibromyalgia takes and takes. Nature gives and gives. What nature gives me helps me fight fibro. What our “gardening family” gives nature hopefully helps it, and us, continue to thrive. Now I can’t stop thinking about all things lemon: ice cold French 75s, lemon curd, zesty lemon icing and desserts, dreamy Spaghettini Al Limone, and of course, as all #fibrowarriors are known to make, lemons into lemonade. #2 Reading. I read a few magazines and in-hand non-fiction health books, and of course tons of “real” books to my daughters, but mostly newer fiction on my Kindle. By choice, my Kindle is the barest e-reader available as I don’t want the inevitable distraction of web browsing. I’ve been a bibliophile since elementary school. My Mom was also a big reader who often read poetry or classics like Les Misérables and Jane Eyre aloud to me. That’s a favorite memory of our short but jam-packed 16 years together. I realize that #1 and #2 mention my Mom. This time of the year is so much about family… Husband, daughters and I make new memories, yet I can’t help but wish my Mom was here to take part. It’s been 25 years. The pain gets easier but never ever goes away. Books and writing are by nature things I’ve always had in common with my Mom. They’re also a uniquely us way to connect. When Husband and I were newly married I had off-hour sleep habits due to persistent pelvic pain from a routine GYN surgery, which lead me to buy my first Kindle. I worked tirelessly to put that pain behind me, then moved on to pregnancy-induced insomnia and middle of the night reading to get back to sleep after breastfeeding my babies. Husband is an out-to-the-world kind of sleeper, but I know healthy sleep habits dictate that he shouldn’t sleep with a bright light on in the room. I like that with my Kindle I can read in the dark then fall back asleep without clicking the lamp switch. Due to my health, all the sleep training we did with our daughters went out with the bathwater. Most nights I do a balancing act of reading my Kindle in between my dreamy, soon-to-be dreaming children while rubbing their backs in tandem in my bed. Like fellow chronic pain blogger Notebooks and Glasses, reading is one of my best pain tools. It makes me happy. I get to use my brain. I love the escape. I have too much—often-pained—free time on my hands and sometimes prefer to pass it peacefully instead of binge-watching a series or “Law & Order” repeats. Everything I Never Told You, Celeste Ng; Pachinko and Fast Food for Millionaires, Min Jin Lee; The Female Persuasion and The Ten-Year Nap, Meg Wolitzer; The Glitch, Elisabeth Cohen; The Electric Woman: A Memoir in Death-Defying Acts, Tessa Fontaine; Run and Taft, Ann Patchett; Florida, Lauren Groff; Neverworld Wake, Marisha Pessl; Girls Burn Brighter, Shobha Rao; Limelight, Amy Poeppel; Sweet Fruit, Sour Land, Rebecca Ley; When Breath Becomes Air–stay tuned for a post about how I faced personal fears by reading this gorgeous book by the sadly lost to us Paul Kalanithi; The Wonder, Emma Donoghue; and Eternal Life, Dara Horn. Happy reading and go buy a real book (I miss the feel and smell of them so each year I buy a handful of my favorites from the delightful Parnassus Books in Nashville, TN), a Kindle, or both! Please note: the Kindle links above are affiliate links. This means, at no cost to you, I will earn a commission if you click through and make a purchase of one of the beloved items I’d bring to a deserted island. The purpose of 40 & Over is to help others, and myself, though earning from it will certainly help offset the cost of my many out of pocket fibromylagia expenses. Thank you for understanding. #1 Rosebud, 6, performed in the kindergarten holiday show yesterday. We exist on a similar emotional plane and many hot tears were shed together when I learned my ketamine infusion time had changed and I wouldn’t be able to attend (Husband and Junebug did). She was nervous and upset but still rocked her solo line, “My family plays the dreidel game with gelt”! From a speech disorder (apraxia of speech), that caused her not to be able to speak simple sentences until well after three, to talking non-stop and pridefully performing on stage…she’s just as proud of herself as Husband and I are. Kid, you’re already moving mountains. Though you never met her the strength of your namesake, my Mom and your Grandma Eve, abounds in you. You’re most definitely your own, very independent person. Your life path is wide open for your choosing and already so beautiful. Great post, Jennifer! Love reading about your ongoing love affair with words (a passion we share with your precious mom:)! And I’m so pleased to learn that gardening provides a balm. I too find nature the best drug in the world!! Sending a hug during this holiday season!! Thank you Rene. Much love!! From misdiagnoses and maladies passed on the way to fibro, these meds are in their way to my drugstore for proper disposal.